Vanessa is founder and managing partner of Farm to Table Event Company. Vanessa grew up in Columbia, attended Brevard College, then lived in Asheville, where she worked with a national green events company. When she returned home, she partnered with City Roots to work with local chefs and farmers, creating cooking classes, dinners, a film festival, and other events. She's also president of The Charitable Plate, a non-profit organization she launched to provide scholarships to food producers. She is co-chair of our Slow Food Columbia board. After rediscovering his family's history with the Bradford Watermelon, Nat left a career as a landscape architect, returned to the family farm in Sumter, S.C. and started raising this heirloom watermelon for a living. The Bradford Watermelon Company grows watermelons, makes rind pickles and other products, and sells seeds to other growers. Nat and his watermelons have been featured on PBS's The Mind of a Chef and CBS Sunday Morning. A school garden advocate, Jamie teaches Pre-Kindergarten at Meadowfield Elementary, where he's installed raised bed gardens and built a garden house to provide outdoor learning spaces. He's also a Doctoral Candidate in Early Childhood Education at the University of South Carolina, with a dissertation focused on how school gardens impact teacher well-being. He won "Overall Best Paper" at the 2016 World Symposium for Sustainable Development at MIT for a sustainability model he developed with colleagues in Norway, England, and Australia. Jaimie is our chapter's membership chair and leading our 2018 school garden project. Joe is director of bread and pastry at smallSUGAR and teaches dance at the University of South Carolina. Before moving to Columbia, Joe danced with the Paul Taylor Dance Company and Mark Morris Dance Group. While living in New York, he also attended the French Culinary Institute’s professional baking course, then worked for Le Pain Quotidien and chef Daniel Boulud’s bakery and restaurant. Along with baking and teaching, Joe founded Cola Bread Club, a community supported baking program. Chef Mike Davis opened Terra on West Columbia's State Street in 2006, bringing the lessons he'd learned working for Susan Spicer and Frank Stitt to ingredients grown in the Midlands. Mike has cooked at Blackberry Farm's Taste of the South for the Southern Foodways Alliance, at the James Beard House in New York, and participated in food events including Euphoria Greenville and Charleston Food+Wine. 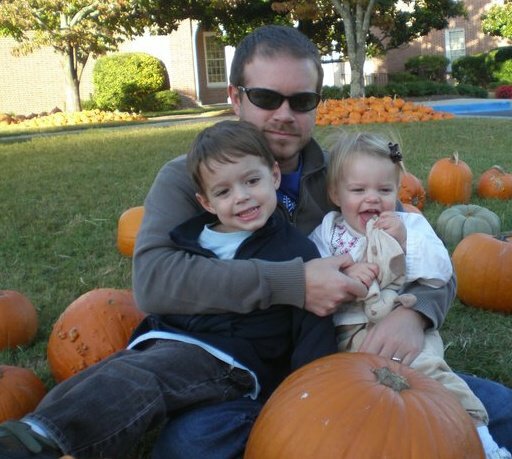 Mike grew up in a farm family in Dothan, Alabama, and attended Johnson & Wales in Charleston after graduating from the University of Alabama. Jenny is a writer and co-director of The Buckley School of Public Speaking. After working at WIS-TV as a producer and marketing director, she went on to write two Food Network series, write and direct an Emmy-winning kids' environmental series for PBS, and edit skirt! magazine. Jenny grew up on a farm in eastern North Carolina where her family raised most of their food, so she's helped with everything from canning to making wine to participating in old-fashioned hog killings. She also co-chairs our board. Keith is a horticulturist for Historic Columbia Foundation where he researches, designs, and installs period-appropriate gardens. He earned a degree in anthropology with a minor in environmental studies from the University of South Carolina. Before joining Historic Columbia, he worked at Riverbanks Zoo and Garden and assisted with digital collections at USC's herbarium. A Columbia native, Keith is a former professional ballet dancer. He lives in Winnsboro, where he has room for plenty of chickens and a lavender rooster named Wallace. The owner of Bourbon on Main Street and a partner in Farm to Table Event Company, Kristian has been a leader in developing farm-to-table dining in Columbia. Along with creating successful restaurants that sourced local ingredients--Mr. Friendly's, Gervais and Vine, Rosso Trattoria, in addition to Bourbon--Kristian helped launch the Saturday farmers' market that is now known as Soda City Market. A former translator and interpreter in the U.S. Army, Kristian loves to travel and experience the food and drink of places all over the world.